The boss, and the secretary turned Creative Web Producer. Lewis Scheller Printing has been providing high quality printing services for a long time. In short, we know what we are doing and we have a great customer base that will tell you so. Recently a lot of misconceptions have been spread about printed materials - that if you use paper you are destroying the environment, that print is too expensive, that it no longer makes an impression with buyers. Not only are these statements false, they are down right silly. It can be argued that printed materials make lasting impressions on people more so than any other medium. Plus there are plenty of green options available for just about anything you want to print. 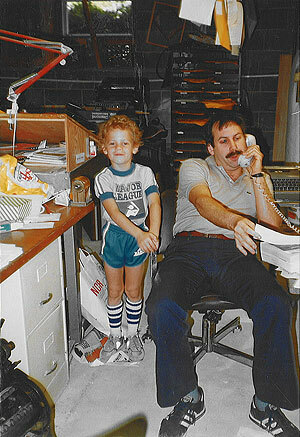 We are proud to be family owned and operated - Lewis Scheller actually works at Lewis Scheller Printing. We can print your files (once they are print ready), and offer plenty of digital solutions for your printing needs. Thank you for shopping with Lewis Scheller Printing.